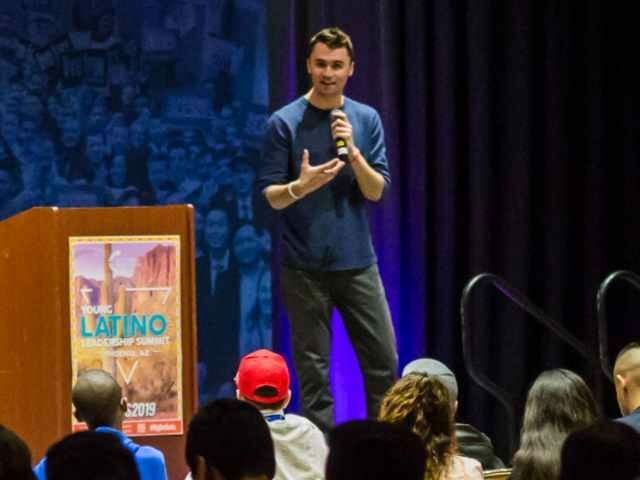 Kirk spoke to Marlow about President Donald Trump’s recent executive order calling to hold universities accountable for respecting free speech on college campuses, an order that Kirk says is an important matter for him personally, as he has championed for the president to make this move, which has been “the primary mission” of Turning Point USA. Kirk also touched upon a few staggering statistics regarding the stranglehold that “the cartel of the colleges” has on society, and on the fostering of an environment in which young people in America feel a societal pressure to enter into a four-year institution, without having any idea as to why they are doing so. Not everyone needs to go to a four-year college to succeed in America. Maybe you can go to a two-year technical school, maybe you need to go to a community college, maybe you don’t need to go to college at all and get some technical training — These high school seniors feel so much societal pressure and so much cultural force to go to these four-year institutions, to borrow this money, and unfortunately, the national graduation rate right now is 59 percent, thank about that. That means that 41 percent of kids that enter a four-year college will not graduate — The second-largest lobby, second-best funded lobby in Washington, D.C. is the colleges and universities. They have over 1,500 lobbyists in Washington, D.C., so for the president to sign this executive order — that is not going to make the cartel of the colleges happy whatsoever. “This is one of the key ruling class institutions — along with the tech companies — that we need to use every single facet and tool at our disposal to re-balance the playing fields,” affirmed Kirk. Kirk also commented on Ivanka Trump’s recent statements on America’s addiction to four-year universities, saying: “what I love about what the administration is doing through job training and to the changing of the narrative — and Ivanka has been critical in this — is that not everyone needs to go to a 4-year college to succeed in America.” Kirk points out that this fact is illustrated by the national college graduation rate, which is only 59 percent.